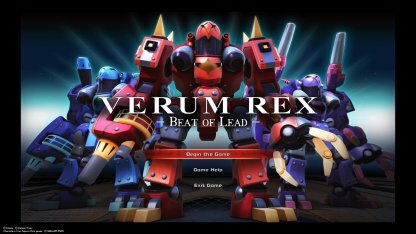 Check out the one of the mini games you can play in Kingdom Hearts 3 (KH3): VERUM REX! Find out how to get a high score in Toy Box's mini game as well as strategies, treasure, & more! The 5 points listed above are what you must take note of and remember in order to achieve a high score. 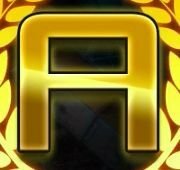 You will be able to achieve an A Rank if you earn more 10 million points! At the start of the game, enemies will spawn in front of you. These are the positions of enemies in the map. This will help you build up a chain combo to rack up your score. Destorying the glass floor for the first group of enemies will drop them to the Spark Trap. If the trap turns on, you will deal massive damage to all the enemies, and can instantly destroy them! The 2nd and 3rd groups will spawn near Heat Traps. Shoot at the Heat traps to instantly get rid of these enemies. While playing Verum Rex, you will notice that there are things that you can use in the environment to easily eliminate more Gigasses. The three traps you can use are the Crane, Heat, and Spark trap shown above. 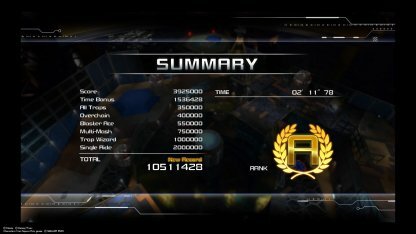 Even if Gigasses with Purple icons give more points, they may take longer to beat. The chain for beating enemies will only last for 10 seconds until it expires. Keep this in mind when defeating Gigasses in order to sustain the chain! 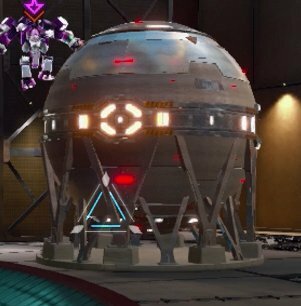 Prime Enemies are Gigasses which have purple icons to mark them. 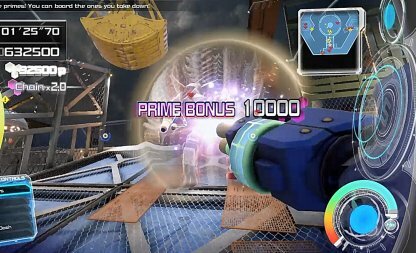 Prime enemies have a larger health pool, making them tougher to bring down, but will reward you with more points when done successfully! 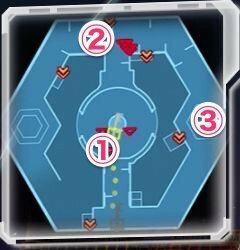 You will find the Spark trap at the center of the lower level of the stage. It activates at regular intervals, and damages anything standing on it. 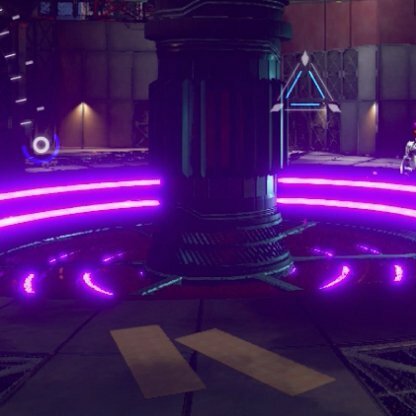 Try to lead as many enemies as you can into the Spark Trap. ▲Make the Spark Trap damage tons of enemies by destroying the glass floor on the middle of the stage. Enemies that spawn there will immediately fall into the Spark Trap and take damage! After defeating a number of enemies, a cutscene will trigger to show that the Golden Gigas has appeared. Since it has a huge health pool, lure it to different traps to deal significant damage! Destroy the glass floor on the upper level of the center of the map to force the Golden Gigas onto the Spark Trap. Fight it there while waiting for the Spark Trap to turn on. You will know the Spark Trap hits when the enemy is covered in a white light. The images above show the damage the Spark Trap does to the Golden Gigas in a single hit! Make sure that you are not on the Spark Trap when engaging enemies since it will also damage you, and take away a big portion of your health. 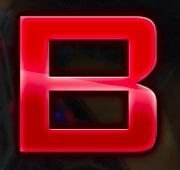 Some of the Gigas that you beat will not explode. 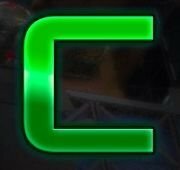 These are Gigas that you can choose to pilot instead of your initial Gigas. Each Gigas differs slightly in performance. When you're Gigas, is destroyed, hop into a new one to continue the fight! The Blue Gigas is a well-balanced Gigas that has good movement speed, and attack damage. 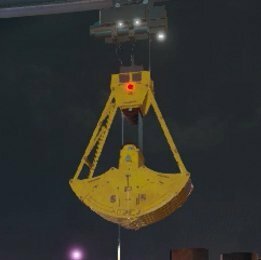 It is a great Gigas for beginners to try out. 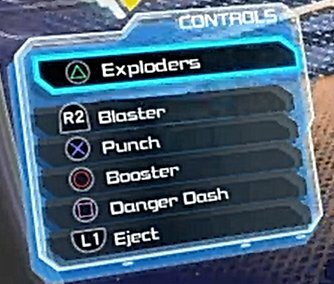 The △ button will trigger the "Exploders" move: You will release six bombs from your shoulder to damage multiple enemies. The Red Gigas may not move as fast as the other Gigasses, but makes up for it by having high attack stats. 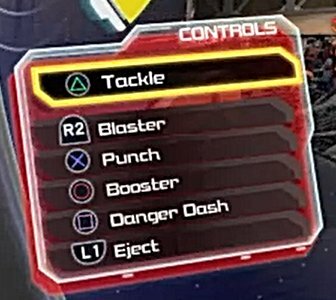 Its Special move "Tackle" also makes it perfect for close quarter battles! The △ button will trigger the "Tackle" move: You will rush a short distance forward and deal massive damage to enemies in front of you. Make sure that there are enemies in front of you as the move does not have lots of range. 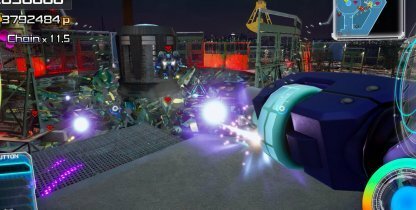 The Purple Gigas excels in long range fights due to its high rate of fire, and Cannons special move. It can quickly deal tons of damage to enemies making it a lethal Gigas to use! 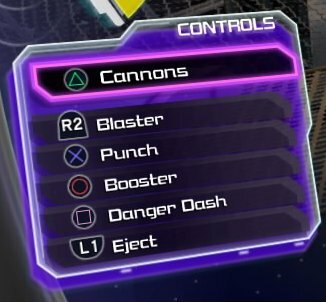 The △ button will trigger the "Cannons" move: You will shoot from two powerful cannons from your shoulders in front of you. This deals tons of damage to enemies at point-blank range. You will be able to play VERUM REX in the game corner of the 3F of Galaxy Toys. This is at the Toy Box stage. To play the game, just approach the wall with the controller on it, and interact with it.